Surgery saga, continued: After graduating to soft foods, I am VERY excited to be able to incorporate more variety into my meals. But being excited didn’t exactly translate into being creative, so I took my quest—and my list of approved foods—to the Internets to help. What foods are on the list now? Moist rice, noodles, soft fishes, eggs, and tofu. 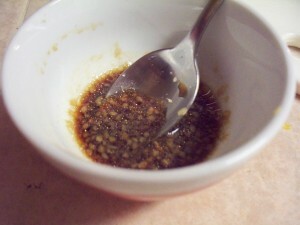 This recipe from Gourmet for “Warm Tofu with Spicy Garlic Sauce” fit the bill of both flavorful and approved food. Plus, I think tofu gets a bad rap as being uninteresting or unpalatable. For some it might be an acquired taste (or more like an acquired texture), but I like tofu just fine and thankfully, it likes me back. My version of the recipe, with a few small changes, is below. Solid foods are now only a few weeks away so I’ll be back on bacon by my mid-September birthday. WOOOOOOO! 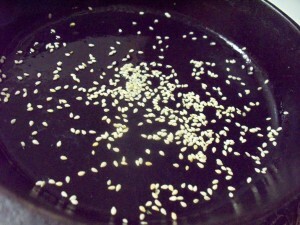 Remove the tofu from the packaging and rinse, then place in a saucepan. 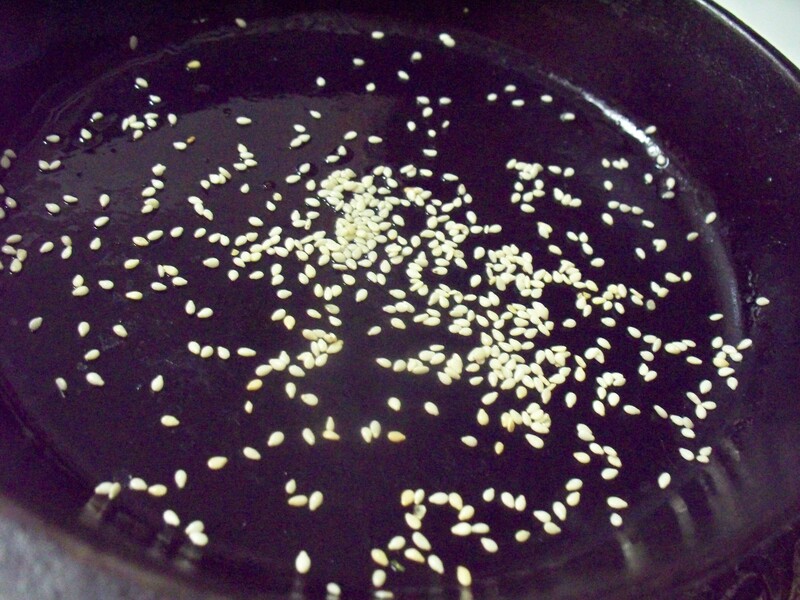 Cover with cold water and heat over medium-high heat. 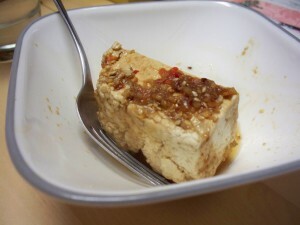 While the tofu warms, add the other ingredients together to make a sauce. Remove the tofu from the water and pat dry with paper towels. Transfer to a plate with a lip or to a bowl. Cover with the sauce. Serve, spooning extra sauce over the top of each serving. I bet the sauteed green onions the original recipe calls for would taste delicious with this, but alas, I didn’t have any on hand. 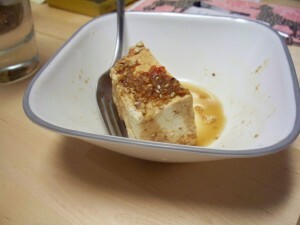 gourmet magazine, last supper, leah charney, tofu, warm tofu with spicy garlic sauce. Bookmark the permalink. Post a comment or leave a trackback: Trackback URL. Just made this (with some modifications, as I didn’t have a couple ingredients)…delicioso! As usual! Thanks for another yummy dinner / lunch!